True, the ultra-luxe gold Edition is a thing of the past, but the fitness-forward Series 2 still packs plenty of style. Apple’s products are saddled with astronomical expectations, but in recent years perhaps none was so anticipated as the Apple Watch, Apple’s first go at tapping into the budding wearables market. It may not be fair to say that the Watch didn’t live up to those expectations, but early versions of the device, and especially its software, received a lukewarm reception. Since its initial launch, Apple has taken steps to change not only the Watch and its operating system, but also its overall perception and marketing message. They’re ditching something that didn’t quite work in the first version—the high-end fashion angle—and focusing on what did work: Health and fitness tracking. In the long term, this arguably more important shift in focus has the potential to make the Apple Watch much more attractive and compelling to potential customers—including the fashion forward. Much of Apple’s initial sales pitch positioned the Watch as a fashion symbol. There was the ludicrously expensive Edition with its better-than-gold gold case, $10,000-plus price tag, pricey bands, and placement in high-end boutiques in Paris, Milan, and Los Angeles. But chasing fashion is a fool’s errand—it’s like setting out to make the next viral video sensation. Taste is fickle, and while Apple has historically had good taste in technology circles, it was a bit out of its depth in the luxury world, even after hiring fashion players like former Yves Saint Laurent president and CEO Paul Deneve as a vice president of special projects reporting directly to CEO Tim Cook. This past week, Deneve’s bio was removed from Apple’s executive team page. Further details revealed that he no longer reports to Cook, but instead to Jeff Williams, Apple’s chief operating officer. I wouldn’t be surprised to hear in the next six months or so that Deneve has left the company for other opportunities. Fashion moves fast, but so do tech trends—and Apple may not have as much need for a veteran of high-end fashion now that they’ve decided to focus on fitness for the Series 2. This year’s announcement of the Apple Watch Series 2 also confirmed that Apple is eschewing the fashion angle. The new Apple Watch Edition has ditched the gold for a white ceramic chassis that costs a tenth as much as the previous version. 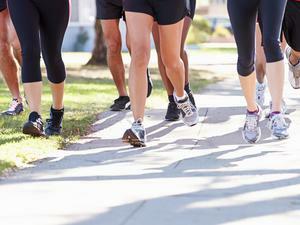 And while Apple kept its partnership with luxury goods purveyor Hermés, it announced a collaboration with Nike focused on running instead of another designer collaboration. 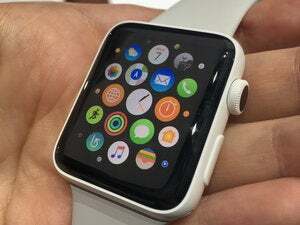 With the initial version, Apple aimed for a broad, multifaceted appeal that ended up confusing and scattershot—it’s a fashion accessory, it’s a fitness accessory, it’s a computer on your wrist. But with the newly-added waterproofing for swimming and a built-in GPS to track runs, hikes, and walks, the Apple Watch Series 2 is very clearly a fitness device, and that focused, definitive message is a plus. One side effect of Apple’s refocusing has ended up pitting the Apple Watch against fitness bands, especially the popular options from Fitbit (which just blurred the lines between smartwatch and fitness tracker further by acquiring Pebble). The Watch is pricier than much of its competition, but it does do more than many competing offerings. And of course, it’s an Apple product, which still has a certain connotation of good design and aesthetic appeal that can work to the company’s advantage when it competes with devices that are aimed more at workouts. An interesting caveat here is that traditional fitness trackers are moving towards fashion as Apple takes a step back, which puts them all on a similar playing field. 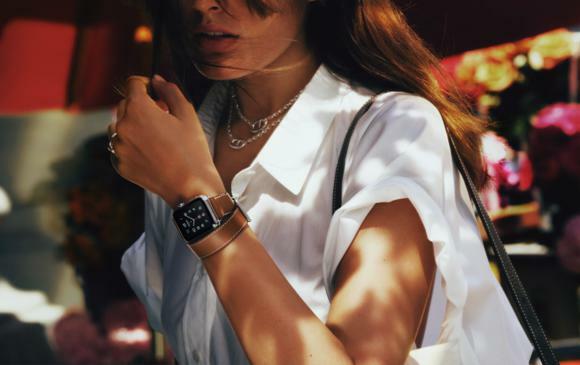 Even with fitness as the main message, Apple doesn’t need to abandon the idea of fashion altogether—after all, the Apple Watch will always be something you wear. But perhaps a more open approach is the way to go. For example, Apple allows third parties to sell Apple Watch bands, which come in colors and materials for every aesthetic and price point. Apple’s own designers probably wouldn’t make a pink alligator-skin watch band, but they don’t have to, and having those third-party options softens the perception of a closed ecosystem where you’re stuck with the options Apple gives you. That same sense of openness could be extended to watch faces. Beyond Apple’s own built-in faces, the only third-party options come with the official partnered models from Nike and Hermès. Allowing third-party developers to create custom watch faces, to stand alone or in conjunction with their own bands, could open up more opportunities for consumers to feel like this fitness-focused device still reflects their own tastes. After all, this is the most personal device Apple sells, and taking something functional and putting your own spin on it is what fashion is about.